The Company produces Breweries with capacity 10 000 l - 50 000 l beer per day. Brewery BlonderBeer-100. 10.000 l of beer per day. 3 million l of beer per year. 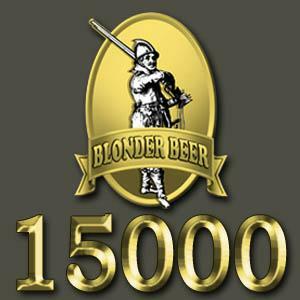 Brewery BlonderBeer-150. 15.000 l of beer per day. 4,5 million l of beer per year. Brewery BlonderBeer-200. 20.000 l of beer per day. 6 million l of beer per year. Brewery BlonderBeer-250. 25.000 l of beer per day. 7.5 million l of beer per year.